Tribalism is an important part of human history. Tribes often hold our identity and our belonging initially to our families and then to other groups as we mature and take our place in the world as adults. Tribes have an important place in our psyches. It is important that we understand their positives and also their limitations. The tribe was the first communal system of the human race. Tribes created social bonding practices through ancestor and origin stories which served to give tribal members a sense of place. In addition, they created bonding through tribal rituals which dealt with change and vulnerabilities of all kinds including negative energies, the changing seasons, and to acknowledge the support of the ancestors. Tribes created the bonding that we all seek in our lives. This bonding does not come without a price, however. Loyalty is absolute and disloyalty can be punished severely. This attitude is understandable since tribes at the time of their development had few people, were extremely vulnerable to disease, war from other tribes, natural disasters and the limited lifespans of early humans. They were up against a lot! Tribes developed ways to minimize fear for their members and demanded total loyalty in return. Tribes also provided a connection with place. People in tribes had an intimate relationship with the physical territory they inhabited. Their lives depended on having a strong understanding of the physical environment including the crops that could be supported, the natural resources including water as well as the seasons and weather vulnerabilities of their location. This connection with the physical environment and each other created an intimacy with people and place which is an important part of skill building. All skill building requires some intimate understanding of what you are working with. that all in quality of everyone having each other’s back – something that we have lost in modern society to a large degree. We need to feel that we belong because our belonging directly relates to our motivation to contribute. Connection fosters the desire to contribute, the desire to make life work better for ourselves and others. Without belonging we may work but our motivation takes a hit. This kind of group belonging comes from knowing we are all in it together. It is not the same as the kind of belonging that comes from the “whose in and whose out” mindset of competitive modern cultures. the connection with and intimate relationship with our place in all ways. Belonging to a place geographically and getting to know it means we become a part of it. It is one of the many ways we can be and need to be a part of something and not just self-seeking. We instinctively recognize the interdependency of all things and tribes had this understanding because they recognized their dependency. It also means that we want to nurture our earthly home since taking care of it is a way of taking care of ourselves. If something went wrong in a tribe, it could be someone’s negative energy or perhaps the gods or ancestors were unhappy. Perhaps it was a hex or some other form of bad energy. People in tribes had an animated view of the universe and tried to control the energy of the universe and make it work to their benefit. Unfortunately, they were limited in their ideas about cause and effect so they could make mistakes about the cause of a problem. As a result, there was a lot of us vs. them thinking in tribes which exists today. There were no real legal systems as we know them now. There were no maps nor agreements about the boundaries of tribal land so it was common to have disputes of one kind or another simply because of misunderstandings. Individuals and other tribes could be blamed for things that were outside of their control. As a result, tribes could be socially messy and even today they can resolve disputes violently. Trying to control negative energy helped people feel less helpless and that was a help in such a vulnerable world. In tribes most things were outside of the control of the individual however, people still tried to gain a semblance of control. Rituals and honoring ancestors and their gods helped people feel like they were doing something and they were – they were alleviating their fears and trying to control them through actions they thought would support a positive connection with the ancestors and their gods. Tribes have a certain charm. They have wonderful art and other creations. They have given us a lot of knowledge about nature and health; alternative mei=dicine began in tribes. They can have a happy lighthearted spirit. But they also have a downside in that their structure is relatively informal and they are not always right about how they attribute the causes of problems. There is a lot of us vs. them thinking that can be dangerous. 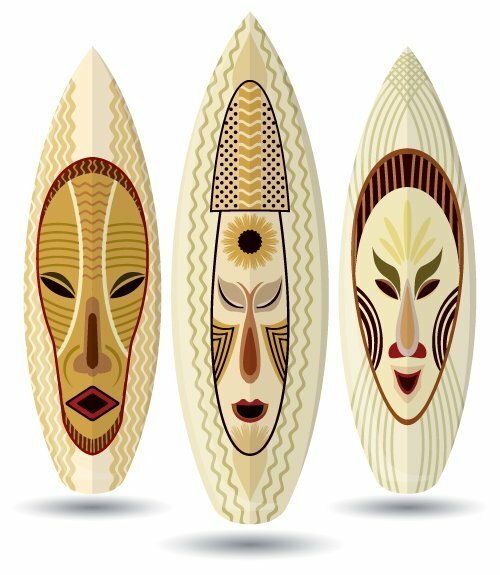 When we connect with our tribal heritage we can invite into our lives their capacity for connection with people and place, their intimacy with place that enabled sharing and collaborating, skills we can only benefit from but we need to be mindful of the more dangerous inheritance of us vs. them thinking. We can mindfully incorporate into our lives the benefits of tribal cultures and minimize the socially dangerous aspects. This is a great way to honor the past without being blind to its negative side. We can also have a larger more generous perspective that we are all really in this together to balance and mute the more harmful capacities of tribal thinking.